The Crown of the Continent region spreads across roughly 16,000 square miles of Montana, Alberta, and British Columbia, and contains places like Montana’s Glacier National Park, and Alberta’s Waterton Lakes National Park. In 1932 these national parks were designated Waterton-Glacier International Peace Park and in 1995 both parks together gained recognition as a World Heritage Site with the surrounding areas protected as a BioSphere Reserve. This largely unfragmented transnational region provides wilderness habitats for rare species like bull trout (Salvelinus confluentus) and Canadian lynx (Lynx canadensis) as well as nearly 70 other mammals, over 270 birds, and over 1,100 plants. The Crown has the unique distinction of housing the headwaters of three of North America’s major river systems, each of which flows in a different direction: the Columbia into the Pacific Ocean, the Saskatchewan into the Hudson Bay, and the Missouri into the Gulf of Mexico. Major ice sheets from the last great Ice Age retreated from the Crown of the Continent about 11,500 years ago, allowing ancestors of the Blackfeet, Kainaiwa, Kootenai, and other Native American tribes to become the first humans to make their homes in the area. Today, human populations in the Crown are increasing rapidly. Although the Crown encompasses relatively few cities and towns for its size, and 29% of its lands fall inside the Peace Park or in protected wilderness areas, the demands of the region’s growing human population take their toll. Intensification of development, resource extraction, recreational use, and the infrastructure to support these activities all threaten the Crown. The famous glaciers in Glacier National Park and throughout the region are also experiencing unprecedented melting thanks to climate change. Scientists are concerned that the effects of climate change may be accelerating—a worrisome trend because many of the Crown’s most vulnerable and charismatic species require large home ranges and/or highly specific habitats. 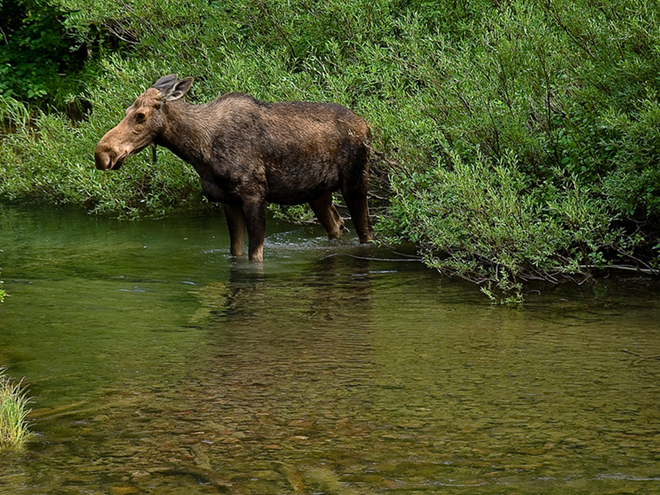 While conservation groups in the Crown of the Continent can do little to halt these changes, continued efforts to protect large connected tracts of wilderness provide all of the Crown’s species with the best chance of survival.